The other day I had to run into Hancock Fabrics real quick and this beautiful floral fabric caught my eye. After walking around to get what I wanted, I decided to splurge a little and buy some to make something for me. It’s a very sturdy fabric with good stretch and would be fabulous for pants or a dress, but I really wanted a top. 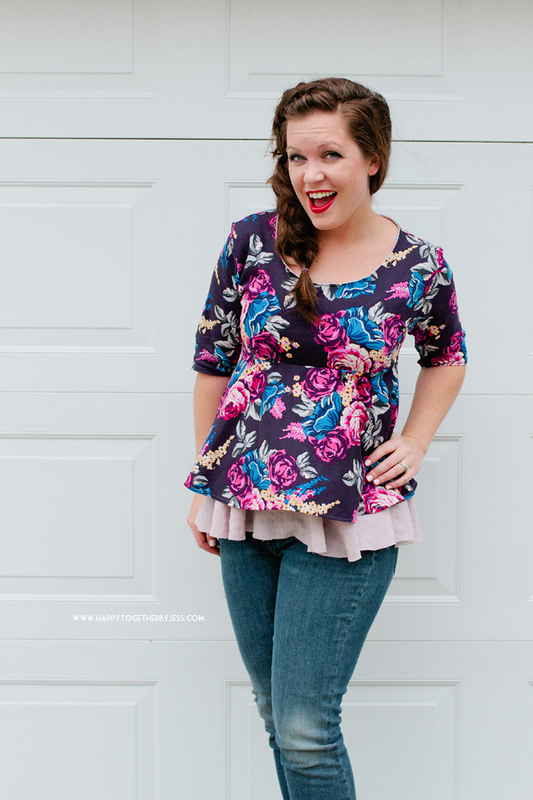 I looked through my piles and chose to use the Penelope Peplum pattern here. I have made a shirt with it before and decided this fabric had enough stretch in it to be used. 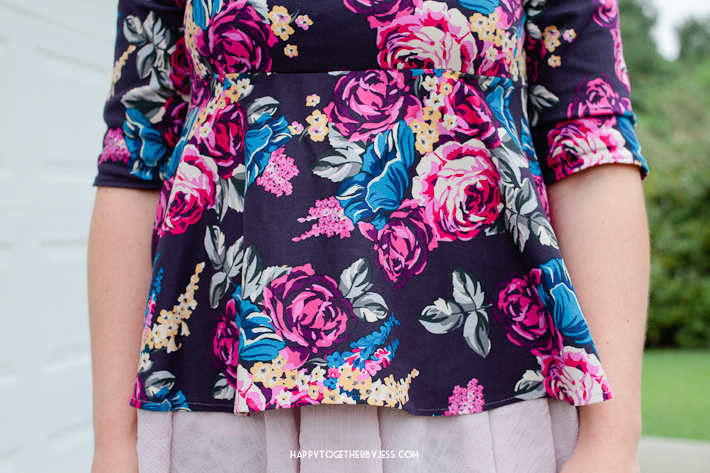 I made a few little changes to the pattern like the keyhole back and the way I finished the neckline in general. I also added two layers for the bottom instead of just one. I had to go and alter the pattern for the bottom layer of floral fabric because the original circle bottom was too much. It stuck out a lot because the drape on it isn’t the best. But, I’m happy with how it turned out. As usual, the more I sew for myself, the more I figure out how to tweak things to fit me the best. That’s one of the great things about sewing for yourself. You can learn to make things fit you how you like them. Oh, and that beautiful lavender color fabric was another find at Hancocks. It doesn’t really fray a lot, so I left the edges raw. Now that fabric is super flowy and has a wonderful drape. 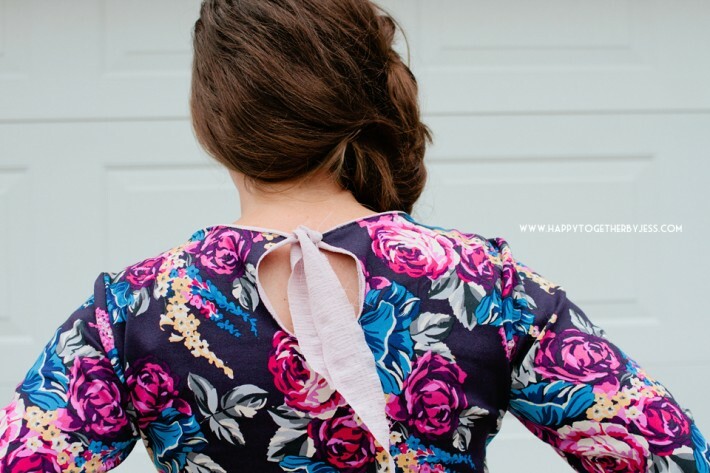 For these pictures, I found a great tutorial for doing this dutch braid here. I need to practice it a bit, but I learned a new braiding technique. Have you sewn anything for yourself lately? 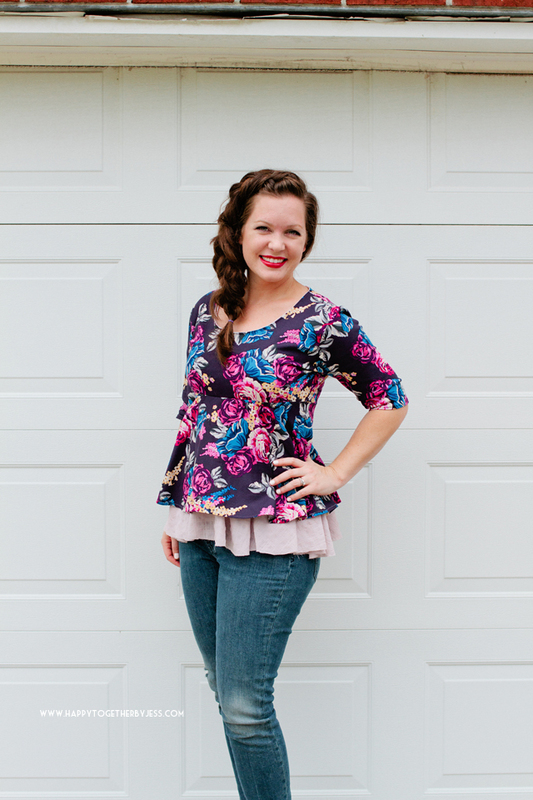 I’m looking for some new patterns to try out.